Epiphone has been a big player in the bass guitar market for many years now, dating back to the 40s with the upright bass. With their continuous growth and increasing reputation for building quality at an affordable price, we here at Gear-Vault decided to take a deeper look at a couple of Epiphone basses under $400 bones; the Les Paul Bass Special ($299) and Nikki Sixx Blackbird ($399). Epiphone’s Les Paul Special has great balance and tone. This classic Les Paul–shaped bass features a mahogany body with a set maple neck and two specially designed Alnico bass humbuckers with separate volume and one master tone control. The price of this bass is exceptional. The playability and tone of the guitar straight out of the box is better than you might expect. Great neck, smooth frets, and its extremely easy to adjust the bridge heidth to your personal preference & taste. Some of the hardware Epiphone put on this bass is suspect. The pots are cheap, the nut is plastic, the setup from the factory isn’t great. But for the money what do you expect? Invest $50 into this guitar by replacing the tone and volume pots, replace the nut with bone or graphite, and do a setup. With a little time and money invested, you’ll have a roadworthy gig guitar that rocks! Epiphone’s Nikki Sixx Blackbird bass has great looks and a thundering bass sound thanks to its “Deep Sixx” bass pickups, which deliver deep powerful rock bass tone. The Nikki Sixx Blackbird has the Motley Crue bassist’s favorite features, including the “Opti-Grab” and on/off toggle as well as the custom fingerboard inlays. This is an unbelievable guitar for the money. The look of this axe is rockin’. The killswitch is cool as well as handy. The tone is sweet and deep for any rocker. 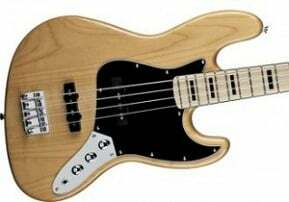 The pickups are hot and have been described as “P-bass on steroids”. The Nikki Sixx Blackbird Signature competes with higher-priced basses. Though Nikki Sixx has no desire for tone and volume controls, the Blackbird would be better served for more players if it was equipped with at least a tone and volume control. The Blackbird is a bit top heavy and likes to neck-dive while playing standing up. The matte finish can get sticky when your hands sweats.